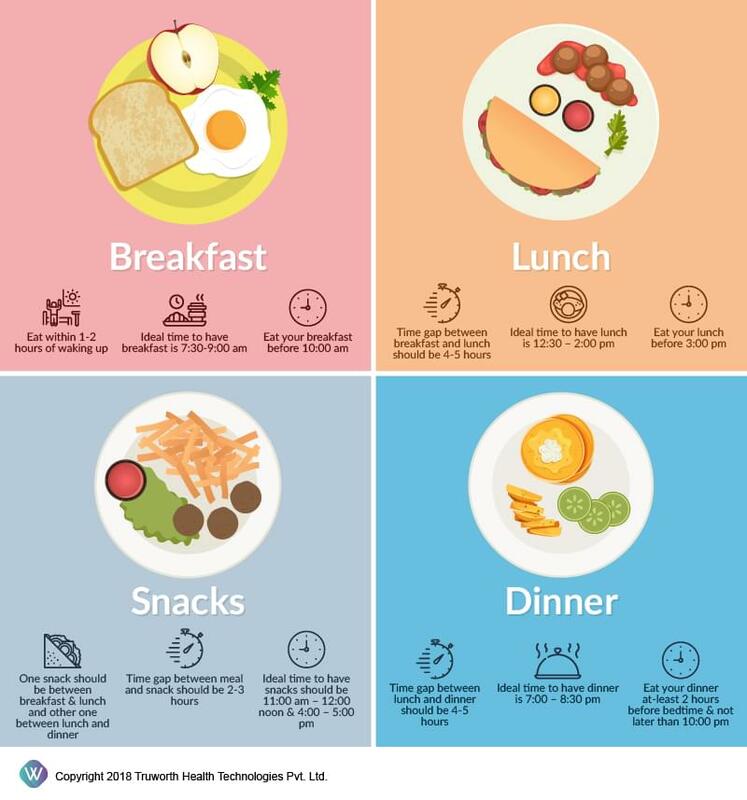 What’s the best time to have meals? A balanced and nutritious diet in combination with exercise and light physical activity is surely the key to healthy weight loss. But, the time at which you take your meals, the intervals between your meals are also an important part of your diet and cannot be ignored. Meal timings can affect your body’s cycle, metabolic rate, sleep pattern, body weight, risk for various diseases, etc. It’s important to eat small meals every 2 to 3 hours rather than eating a huge meal after a long gap. Spacing out the meals evenly and breaking it down into smaller meals give’s body enough time to metabolize the food in a better way. Note: People working in shifts (night shift or early morning shift) should maintain the time gap between meals as advised above.